Professional Information:Amy Revell is born and bred in Melbourne, Australia. 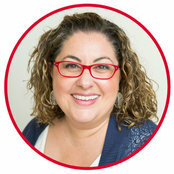 Amy has always been a super organised person, and this natural gift has developed into a successful, engaging and fun business helping women better organise their homes and lives. Walking into cluttered homes and finding order and peace amidst the chaos is Amy’s speciality. Clients often remark that her non-judgemental and sensitive approach means that instead of being embarrassed of their homes, they feel supported and inspired to make positive changes.